Recognizing the importance of communication is the first step in developing a positive family culture, the second is perpetually practicing strategies to improve it. The dictionary describes communication as a means to convey or share information or ideas between people, orally or written. We all know it is far more complex than that. In fact understanding communication in the family context can be one of the most confusing and complicated aspects of parenting. Many family therapists have disclosed that a typical complaint of clients experiencing relationship issues is lack of communication. The absence of high-quality communication skills can lead to an unstable family environment. Through misunderstandings and misinterpretation family culture can slowly deteriorate leading to damaged, unrepairable family problems. It is absolutely critical to understand that positive and effective communication is a cornerstone in the foundation of a happy and successful family culture. So!… Just what is Positive and Effective Communication? Is It More Than Just Words? 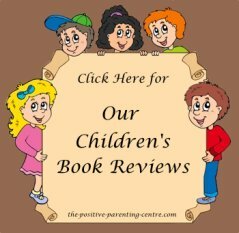 To thoroughly understand the importance of communication and its affect on your children, you must be aware that you are communicating at all times. Every single thing you "do" and "say" is a form of communication and believe me, your children are taking it all in, particularly when you "think they are not." Your child's whole perspective on life, their self esteem and their character (good or bad) are initially built from the very messages they perceive from you as their parent. It is a fact that your attitude and emotions convey more about your message than your words. Your tone of voice, body language, posture and even your touch send their own distinct message. ...A staggering 93 percent of communication effectiveness is determined by nonverbal cue. Think about that... A whopping 93 percent from nonverbal cues. These are extremely important numbers to consider when both interpreting and expressing the intent of a message. 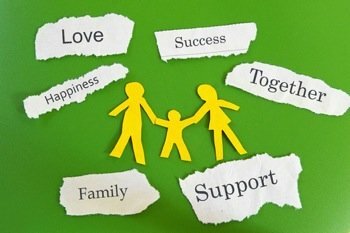 Strong families support one another and openly share their feelings such as; fears, joys, and sorrows: they share their hopes and dreams with one another. They encourage and celebrate individual achievements and successes. 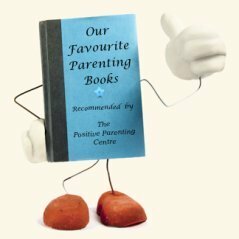 A key element of "positive parenting" is to ensure each member of your family regardless of age is heard, understood and most importantly given an opportunity to express their thoughts, feelings and concerns without contempt or criticism. All that being said… What can you do to improve family communication? ...Our most precious relationships in life are those we create with our children. The years quickly pass and lost time can never be recovered. Each stage in your child's life is an immense opportunity to learn and practice your communication skills. Don't avoid this wonderful and important parenting responsibility; make a personal commitment to learn and apply positive communication. I personally agree with the esteemed motivational speaker and author Brian Tracy when he asserts that communication is a skill you can learn. He maintains it's like riding a bicycle or typing. If you're willing to work at it, you can rapidly improve the quality of every part of your life. Good parenting skills in communication are cultivated by exhibiting and modelling positive behaviour, improving listening skills through active listening and in the development of empathic listening skills. Yes, it takes time, commitment and discipline, but with mindful effort and practice, good communication becomes a habit, leading to loving and harmonious family relationships. It is..... "A Parental Responsibility"
The following articles will shed more light on the importance of communication and suggest ways of improving family communication. Improving listening skills as a parent will set the tone of respect and admiration for your child. Your child will feel that his/her thoughts, beliefs and personal opinions are important. Although sometimes challenging, it is also an opportunity for personal growth. Return To: "Home Page"..from: "Importance Of Communication in The Family"